VANCOUVER, May 28, 2018 /CNW/ - Pacton Gold Inc. (TSXV: PAC, OTC: PACXF) (the "Company" or "Pacton") is pleased to announce that it has entered into a binding letter of intent ("LOI") to acquire 100% of the Friendly Creek exploration license and mining leases ("Friendly Creek") from Gardner Mining Pty Ltd ("Gardner Mining"), an Australian proprietary limited exploration company and from Darren White (together, the "Vendors"). 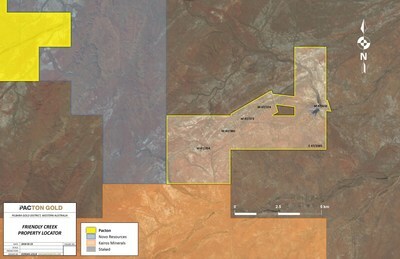 Five granted mining leases and one granted exploration license comprise a total of 31.36 km2 (the "Property"). 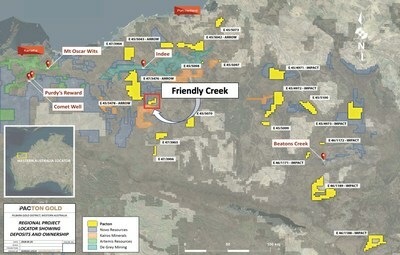 Friendly Creek is historically one of the richest known areas for alluvial nuggets within the Pilbara region, where a large amount of alluvial fine grained gold to multiple considerable sized nuggets have been recovered, 127 oz (in 1888) and 165 oz (in 1892) gold nuggets (source: www.mindat.org/loc-272951.html). Note: These samples are not indicative of the mineralization hosted on the property. 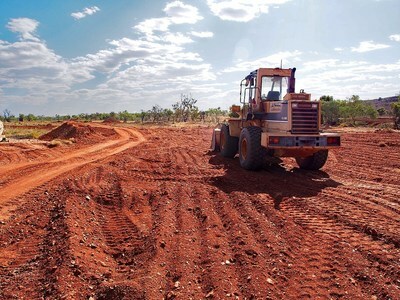 Directly adjacent to key exploration properties controlled by Novo Resources Corp. and Kairos Minerals Ltd.
"The acquisition of the Friendly Creek Project, with granted mining leases, clearly places Pacton with a strategic advantage ahead of our peers in creating the opportunity to rapidly conduct large scale bulk sampling programs. 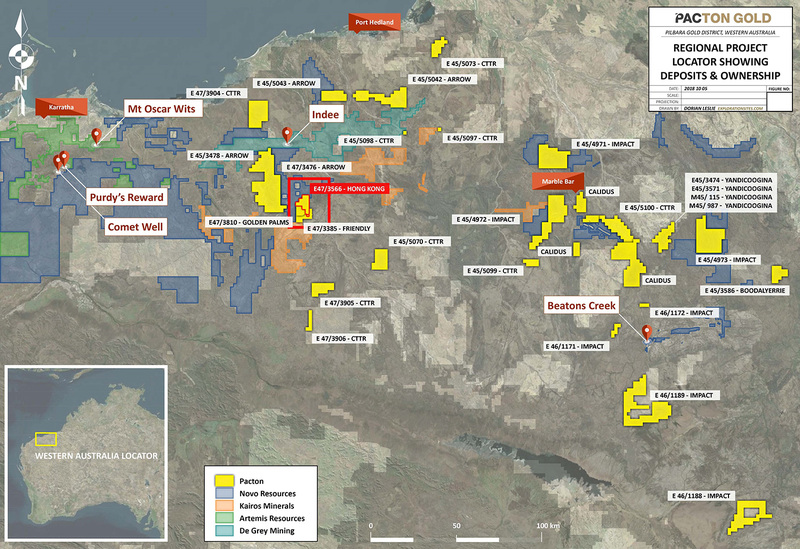 The historical discovery of large gold nuggets at Friendly Creek in Western Australia, and an identified mineralised strike length of 10 km, is compelling to justify an upcoming intensive exploration program," commented Alec Pismiris, Interim President and CEO of Pacton Gold. "We look forward to working closely with the Gardner team, as we continue to focus on understanding the true potential of our strategic portfolio holdings and as we look to complete additional accretive acquisitions."